CARFAX Certified One Owner Vehicle. 3.7L 6 Cylinder, Automatic Transmission, Front Wheel Drive, Luggage Rack, Back up Camera, Heated Leather Front Seats, Bucket Seats with Center Console, Folding Second Row, Third Row Seats, Dual Power Front Seats, Power Windows, Power Door Locks, Power Side Mirrors, Steering Wheel Controls, Tilt, Cruise Control, AM/FM/XM Radio with Auxiliary Input and USB Port, Bluetooth Capability, On Screen Navigation, Dual Zone Air Conditioning, Rear Defrost, 18" Alloy Wheels in Bridgestone Tires, Keyless Entry. Contact anyone in our Sales Team or Service Department for more details on the Oakley Advantage Program! *While we make every effort to ensure the data listed here is correct, there may be instances where some of the options or vehicle features may be listed incorrectly as we get data from multiple data sources. PLEASE MAKE SURE to confirm the details of this vehicle with the dealer to ensure its accuracy. Dealer cannot be held liable for data that is listed incorrectly. Tax, title, license and dealer fees (unless itemized above) are extra. The features and options listed may not apply to this specific vehicle. *While we make every effort to ensure the data listed here is correct, there may be instances where some of the options or vehicle features may be listed incorrectly as we get data from multiple data sources. PLEASE MAKE SURE to confirm the details of this vehicle with the dealer to ensure its accuracy. Dealer cannot be held liable for data that is listed incorrectly. 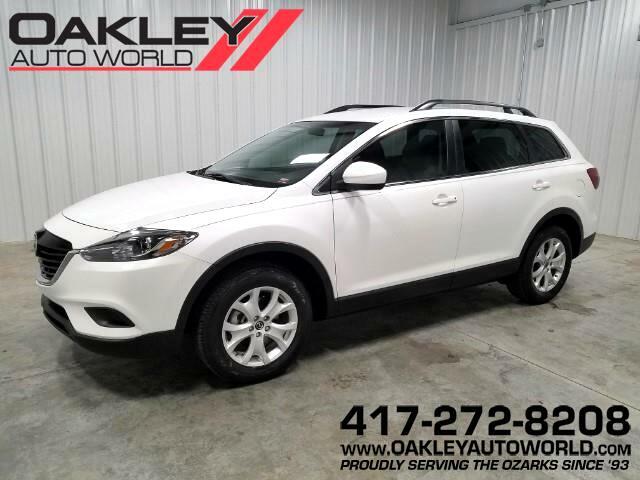 Message: Thought you might be interested in this 2013 Mazda CX-9.